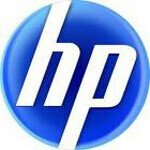 As we reported, you could reserve your HP TouchPad starting on June 19th. Guess what? It's June 19th and the webOS tablet can now be pre-ordered from HP and some of the retailers-like Best Buy-that will offer the tablet when it launches on July 1st. Those stores include Walmart, Staples, Sam's Club, Office Depot and Amazon.com. [img right []:"The HP TouchPad can now be pre-ordered in the U.S. and Canada" /]The price for the 16GB version of the HP TouchPad is $499.99 while the 32GB model is $599.99. In Canada, as you can see from the screenshot to the right, the prices are $519.99 CD and $619.99 CD respectively. The TouchPad gets released July 15th for our neighbors up north. Some stores will be offering accessories like a wireless keyboard, a charging dock, a cover and a power adapter. Before the Canadians get to own the HP TouchPad with its 9.7 inch XGA display and 1.2 GHz Qualcomm Snapdragon processor, the tablet will head over to the U.K., Ireland, France and Germany. Before the year is out, the device will be seen in Italy, Spain, Australia, Hong Kong, New Zealand and Singapore. YES! IT HAS BEGUN! MORTAL KOMBAT!!!!!!!!!!!!!!! 1.2 single core? hp tablet? $500? Yea not at all. 1.2 GHZ Dual-core Snapdragon CPU. Which if I remember the Ipad 2 doesn't even have a 1ghz dual-core processor, it was underclocked to 900mhz for battery purposes.